Through the years, the organization had a few title changes and shifted visions to focus on commercial development. Eventually the agency merged with a few others, and REV was born in 2012. Through programs like The Big Pitch (a business pitch competition for local startups) and Urban Food Project, which works to bring locally sourced produce to Birmingham, entrepreneurs have been able to fuel their business dreams and add to downtown’s growth, Deon says. 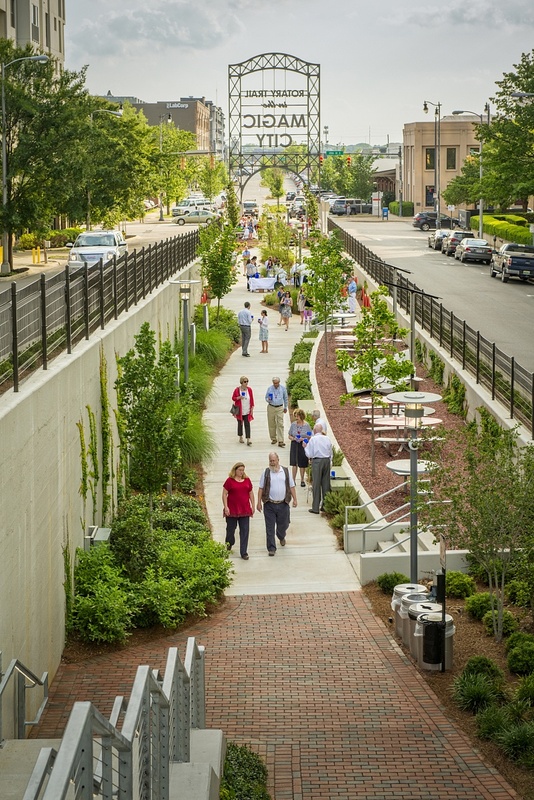 Once Railroad Park proved to be a win for the city, a strong confidence began to take hold downtown — causing a domino effect of business growth, Cheryl says. It’s the kind of thing urban planners dream of, she says. Cheryl muses if Railroad Park wouldn’t have come to fruition, the Birmingham Barons might not call downtown home today. John Boone, principal at Orchestra Partners, shares this belief. He, along with business partner Hunter Renfroe, are working to reclaim “The Heaviest Corner on Earth.” Located in the heart of the city center between First and Morris Avenues, Founders Station is set to open Spring 2018 and serve as a mixed-use condo development. 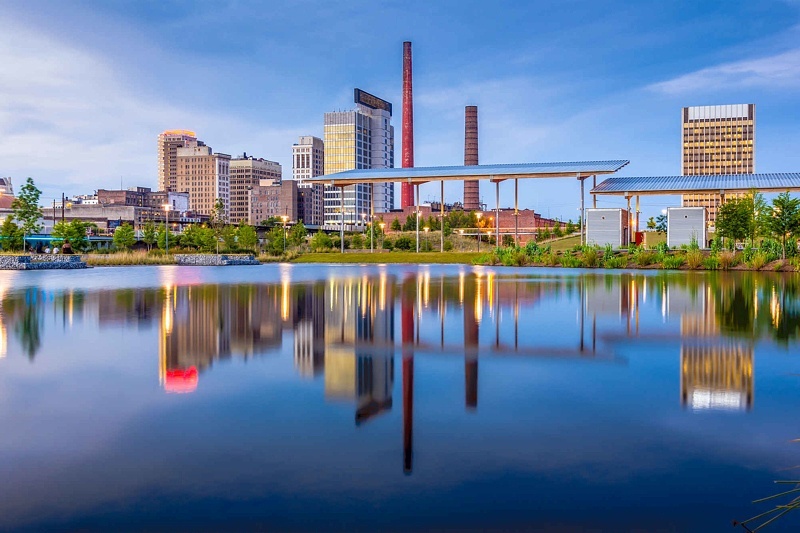 Judging from Birmingham’s substantial growth in just a handful of years, it’s no secret the Magic City is, well, getting its magic back. Or, as Deon would say, “getting its swagger back.” And while vacant storefronts are becoming a rarity and choosing where to eat out on a Saturday night is becoming more difficult, the city’s history still beckons at every corner. And that, leaders say, is a good thing.